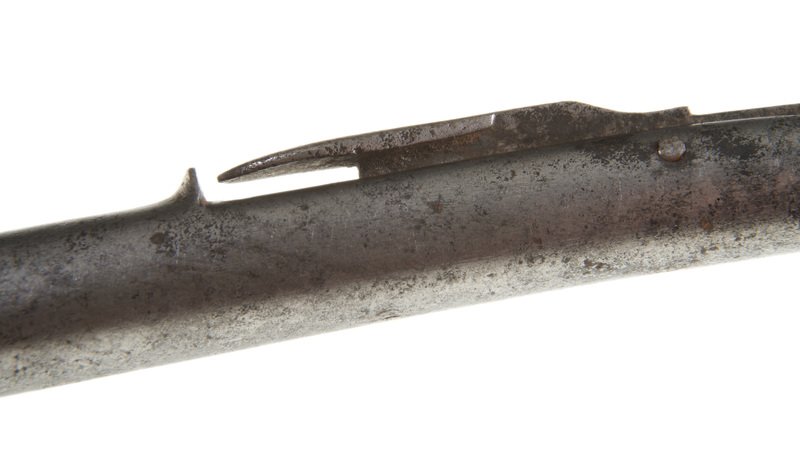 Key versatility was improved in 1786 with the introduction of a circular, notched bolster housing a swivel to which the claw was attached by a short screw pin. 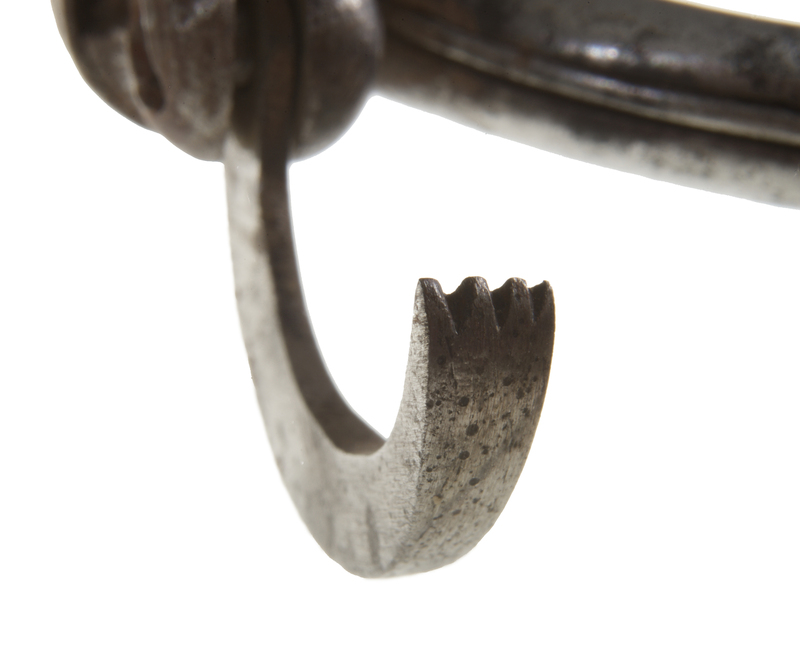 The swivel allowed placement of the claw in incrementally different positions that were held by a spring catch built into the shaft. 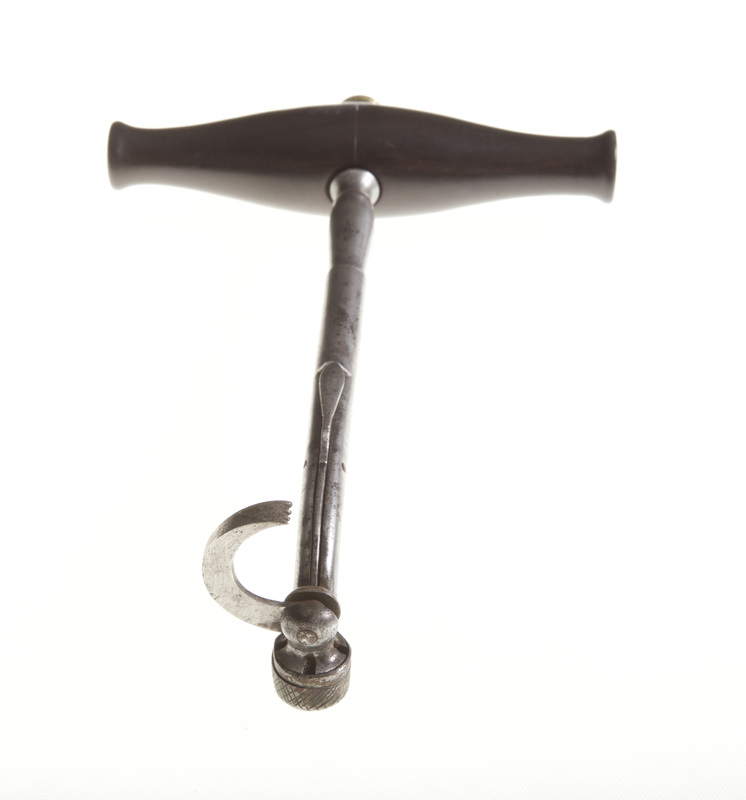 By repositioning the attached claw, the instrument could be used to draw a left or right, upper or lower tooth. And, with the claw positioned parallel to the shaft, the key would have moved most effectively in an up or down direction, functioning more like a pelican instrument. 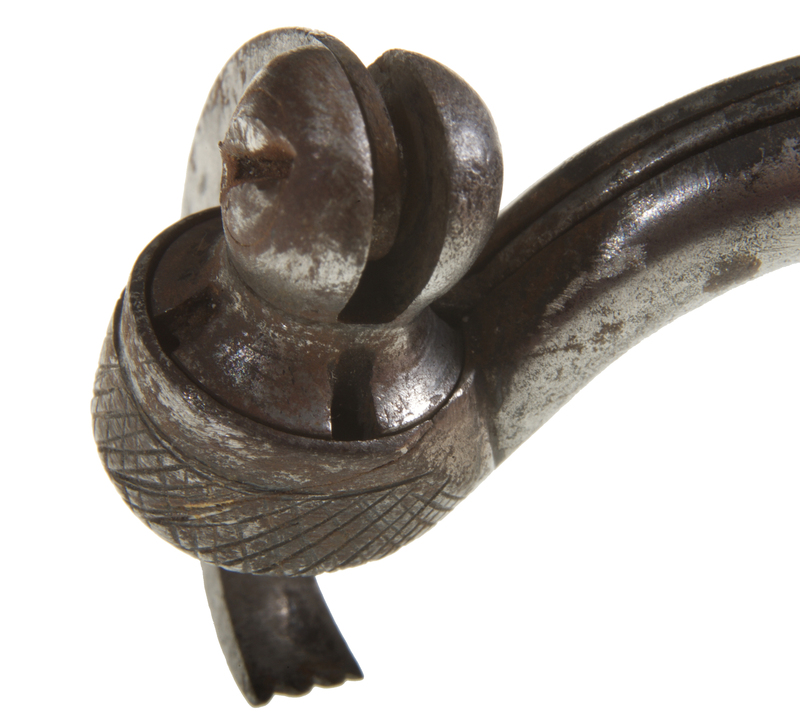 The handle and claw designs of this key (A147.164) make it a more flexible instrument than earlier examples. 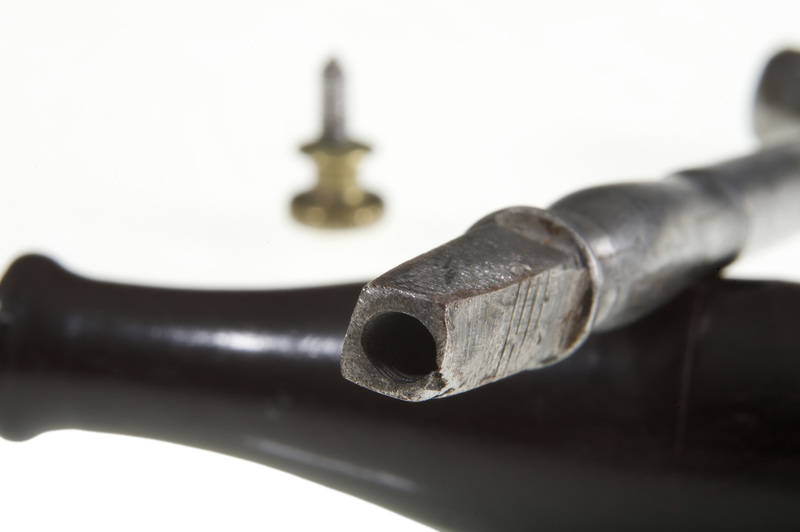 Held to a squared-ended shaft by a thumbscrew, the ebony handle can be quickly removed and turned 90 degrees. Adding to its versatility, a spring catch and slots in the bolster swivel allow the claw to be placed quickly in one of three positions of 90 degrees difference. The claw tip has three shallow notches.